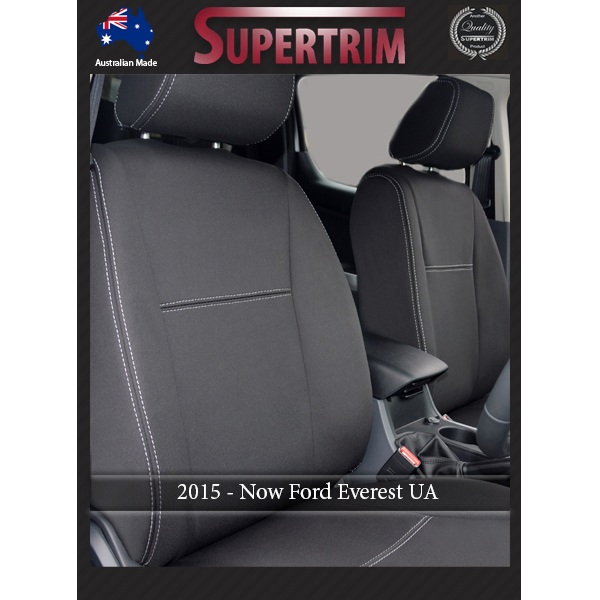 With nearly 40 years' automotive trimming experience in Australia, Supertrim supplies the largest range of Ford durable seat covers - available in both automotive-grade premium neoprene (wetsuit) and heavy duty 12oz canvas. 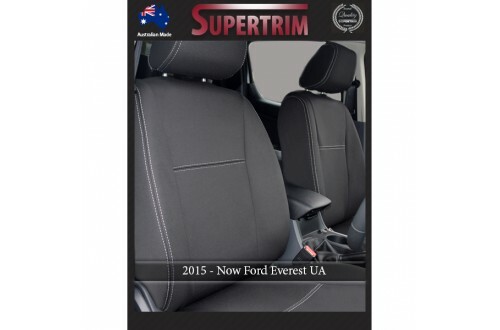 • The default rear design allows for split-fold seats (i.e in separate covers), but normally covers up the armrest/cup holder (if any), making it inoperable. To access it, zipped armrest cut-out ($20 extra) can be made on request.